Put your fashionable and trendy Wearables and must-have products in front of top executives, salespeople and screen printers. Great place to promote your special offers, discounts and new products. Help distributor salespeople identify new and innovative products perfect for their customers at the exact times they need them. Includes leading product categories, promo products in action and so much more. A Weekly Review of the Most Popular Stories on ASICentral.com. A round-up of the top articles on ASI's website every week. Delivered to distributor's inbox every Saturday morning, this newsletter provides a snapshot of the promotional product industry's top news, analysis and multimedia content. 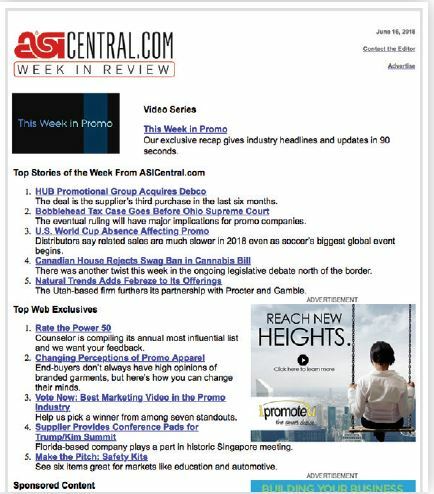 News Updates From the Industry's Premier Email Newsletter. 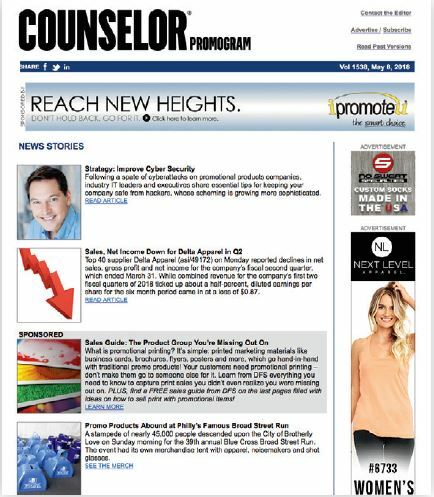 Counselor® PromoGram has a loyal readership of distributors and suppliers consistently looking for new products and industry updates. Published twice a week, it boasts high open rates. Important news, trends and products with a focus on the growing Canadian market. 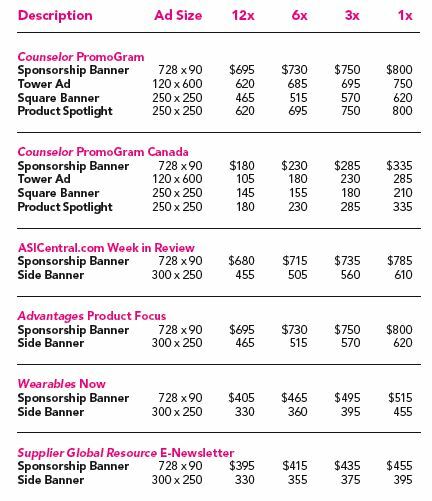 Our popular Counselor® PromoGram has a special version just for Canadian distributors and suppliers. Place an ad in this highly read newsletter that delivers important news, trends and products focused on the growing Canadian market.